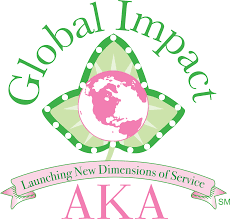 Under Alpha Kappa Alpha Sorority, Inc. Global Impact Initiative we know the importance of giving back. Zeta Gamma for two years has donated more than 200+ pillowcases crafted specifically for our Dresses for Africa Campaign. We find it vital to give back financially and economically through Global Impact. Join us as we serve our extended family with clean water and a chance for better life fulfillment.